Earlier today during Nintendo’s E3 Digital Event livestream, some new and exciting details were discussed for the highly-anticipated fourth entry in the Super Smash Bros. series. 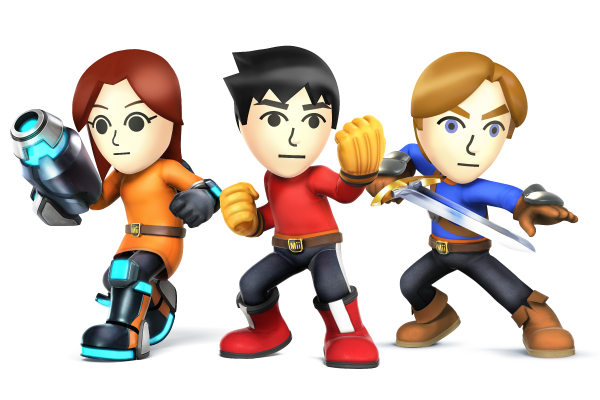 First announced was the ability to play as your own Miis in three different character types; Mii Brawler, Mii Swordfighter, and Mii Gunner. Each Mii type has a different moveset. The Brawler specializes in up close melee attacks, the Swordfighter fights with their blade, and the Gunner specializes in long-range projectiles like a zoning character. Afterwards, Nintendo’s new Amiibo NFC figures were confirmed to work in conjunction with the game. These figures allow you to have your own custom AI fight by placing them on the Wii U’s gamepad. In addition, a release date was given for the 3DS version of the game. Super Smash Bros. For 3DS will release on October 3, 2014, which just misses the summer window originally planned for the game’s release. To wrap up the Digital Event, Palutena from the Kid Icarus series was been confirmed as another new roster addition. Her trailer, as seen below, shows her diverse moveset in action. The trailer also features some animated cinematic content. Enjoy!